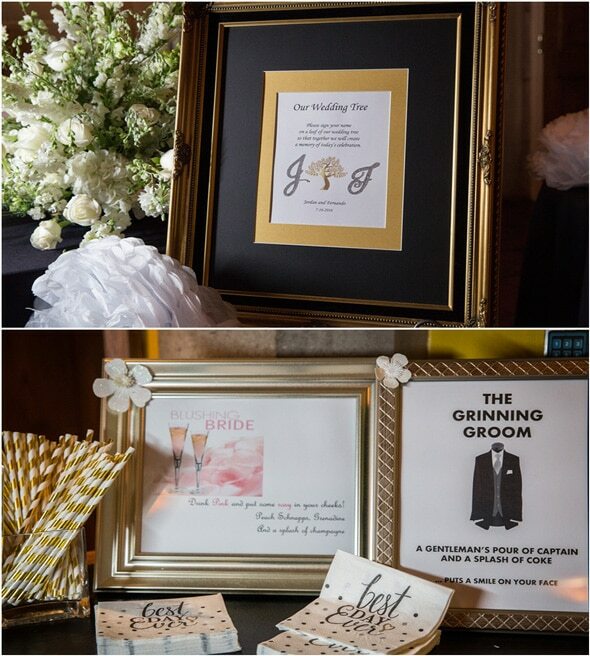 We just can’t get over this Elegant Gold, Black and White Wedding that these two lovebirds were a part of! 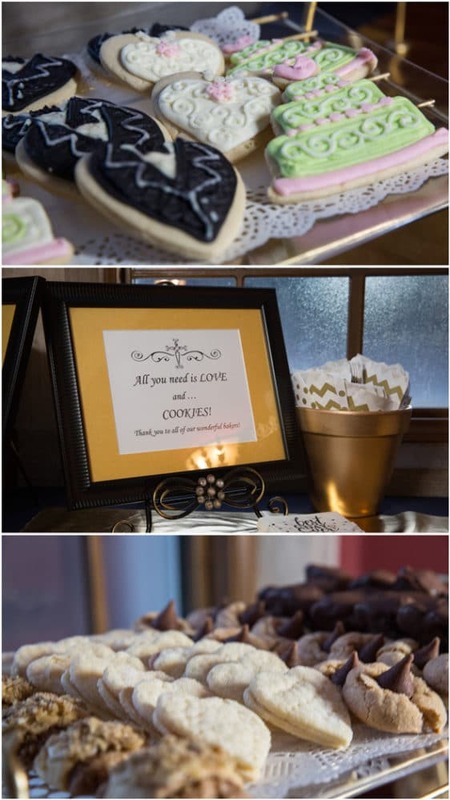 This is the wedding of all weddings and you don’t want to miss any of these amazing photos for some wedding inspiration! 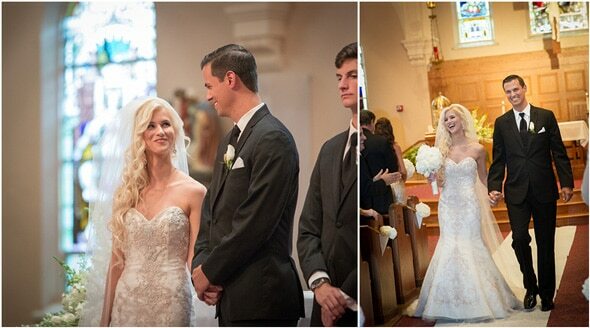 The gorgeous couple met while attending college and going on a blind date! 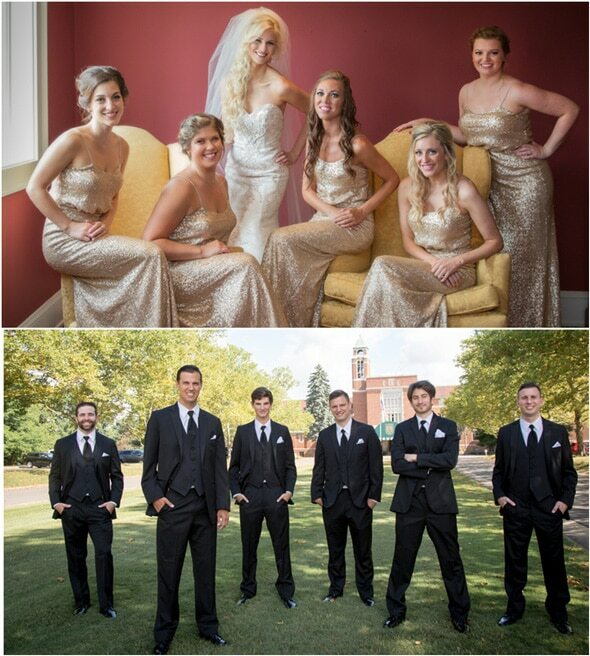 While they claim it was “love at first sight”, it is clear that it has grown into so much more over time. 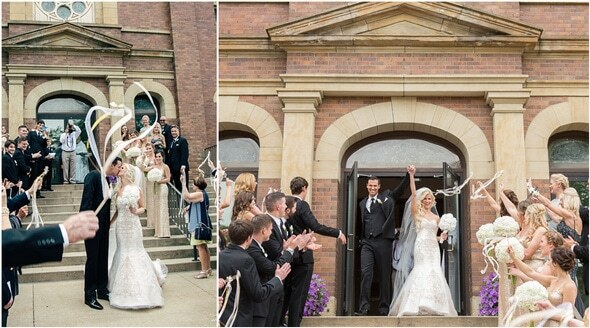 Their wedding was held in an incredibly timeless church. 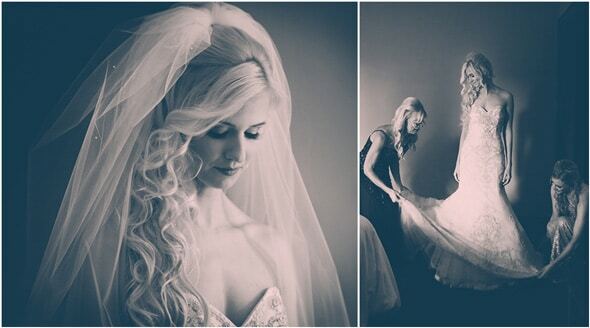 Beauty and grace were found everywhere, from the couple getting ready, to their walk down the aisle as Mr. and Mrs. Elegance doesn’t begin to describe the beauty of this day! 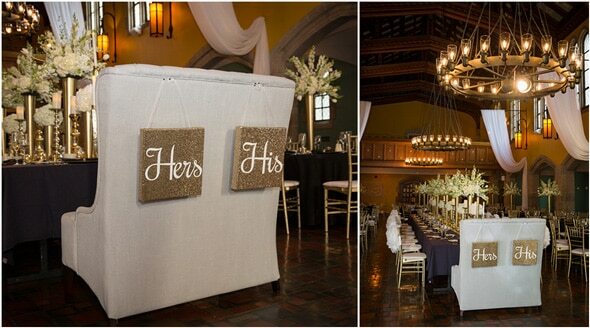 What a romantic wedding ceremony! 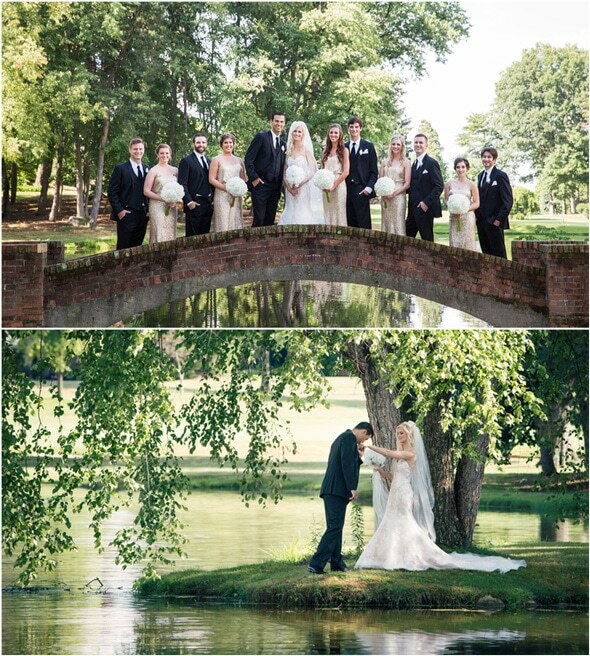 How gorgeous is this wedding party?! 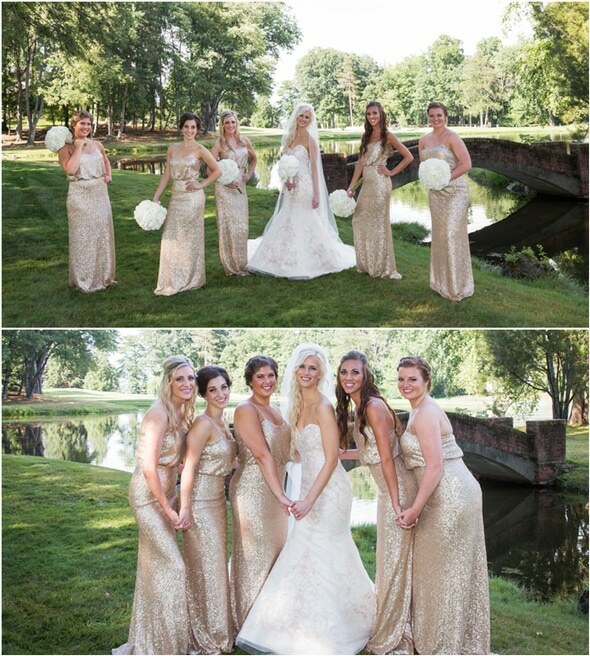 The gold sparkling dresses were amazing! 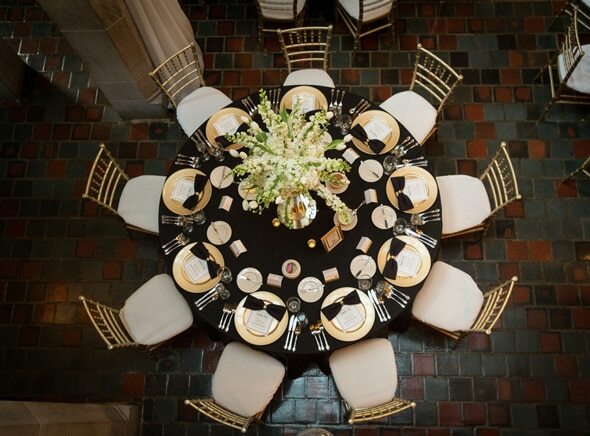 The wedding reception was held at the historic Glenmoor Country Club, which was once an old monastery. 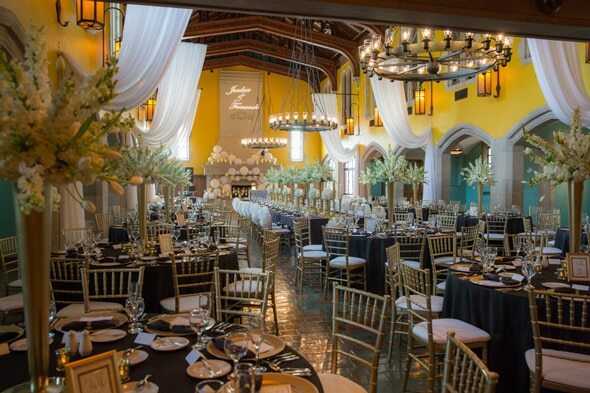 The room they used for their celebration was actually the old chapel! 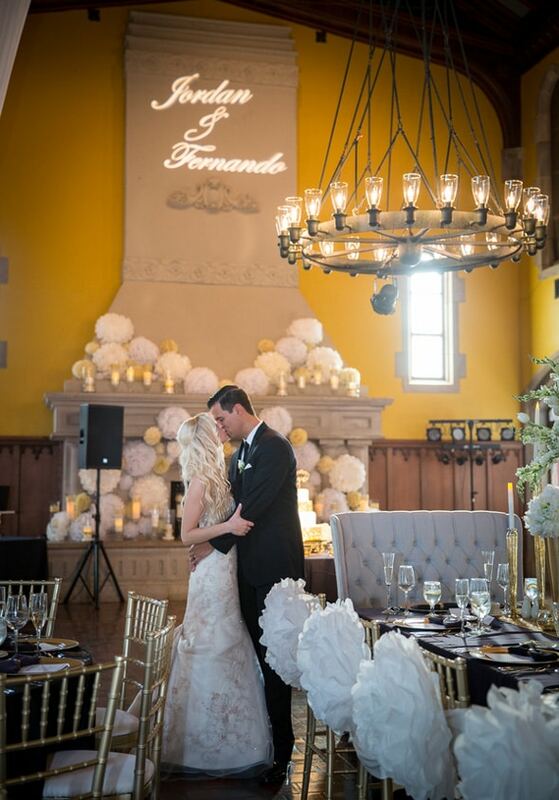 With a floor to ceiling fireplace, vintage lighting and windows, the space was perfect for a unique and glamorous wedding like this one. 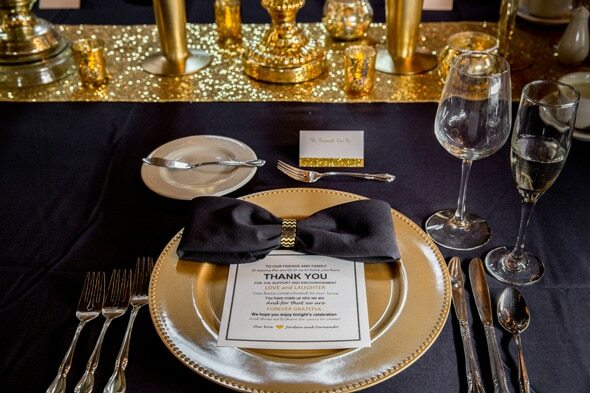 The decor consisted of gold, with black and white accents. 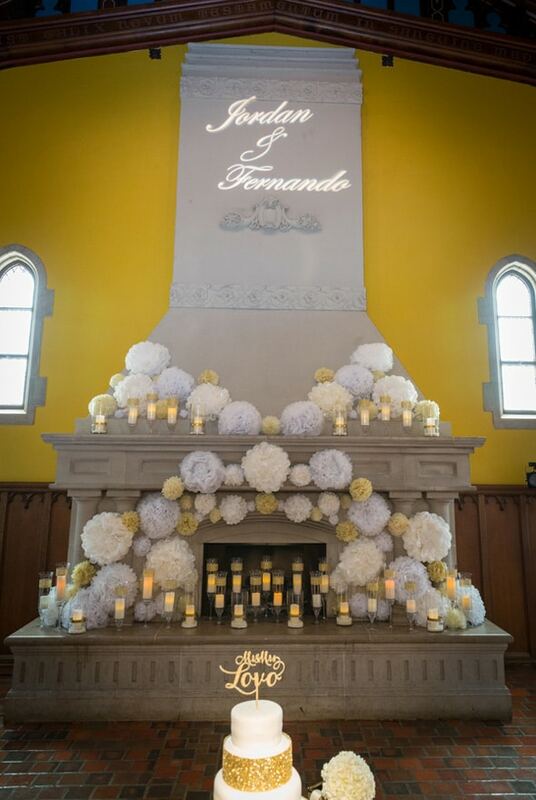 Big fluffy paper flowers adorned the massive fireplace and the head table chairs. 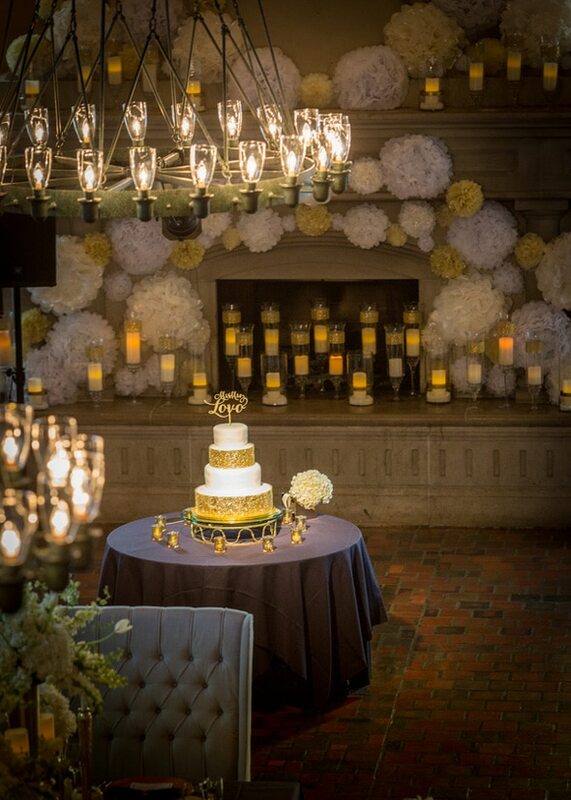 Candles also filled the fireplace and illuminated it throughout the evening. 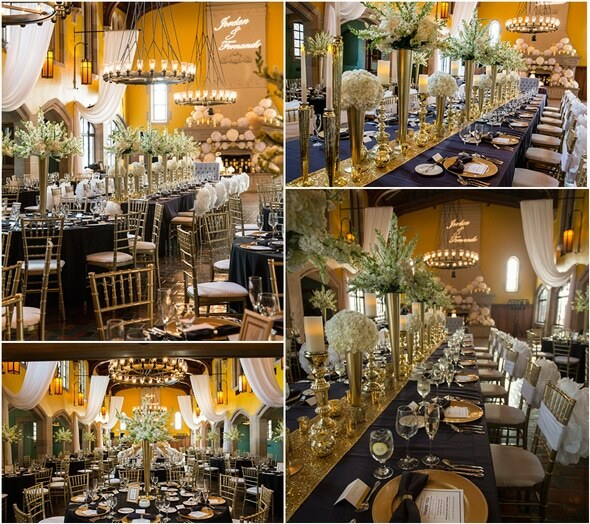 What an incredible ambiance! 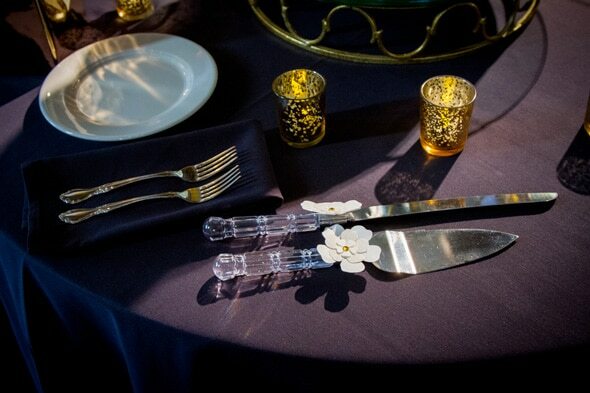 Large floral pieces filled the table tops, along with gold candle sticks, chargers and napkins placed like bow ties. 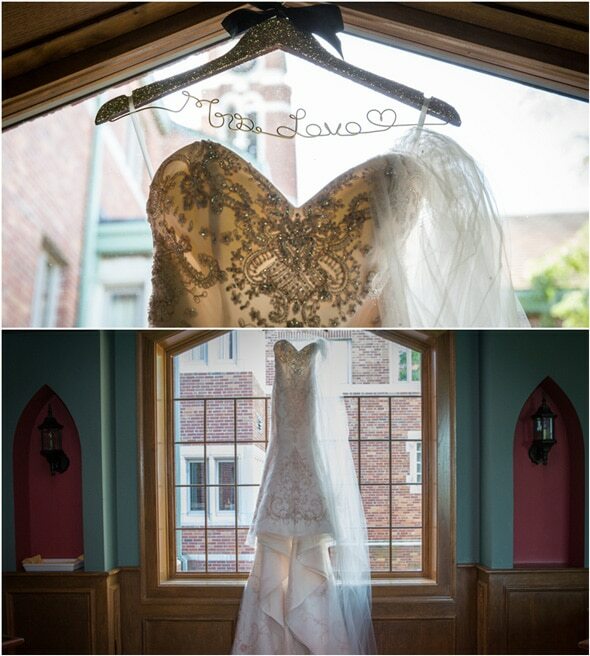 We just can’t get enough! 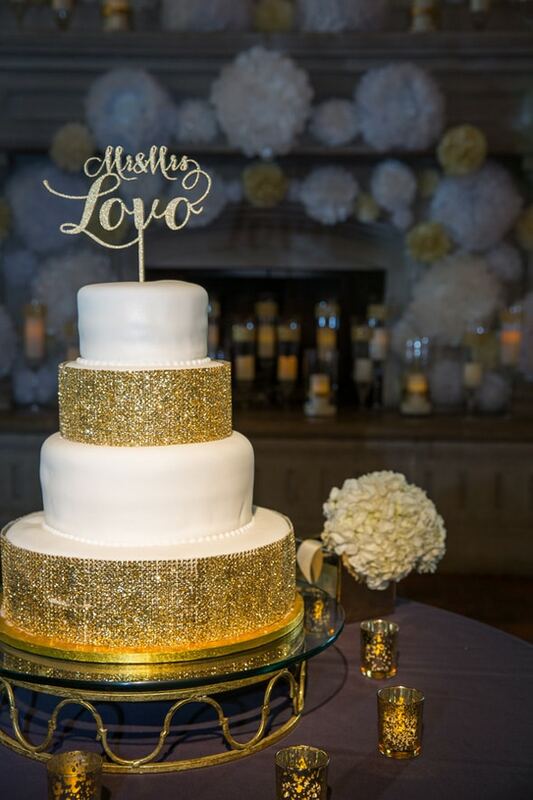 But the cake … absolute perfection for an elegant and gorgeous wedding! Look at it sparkle! 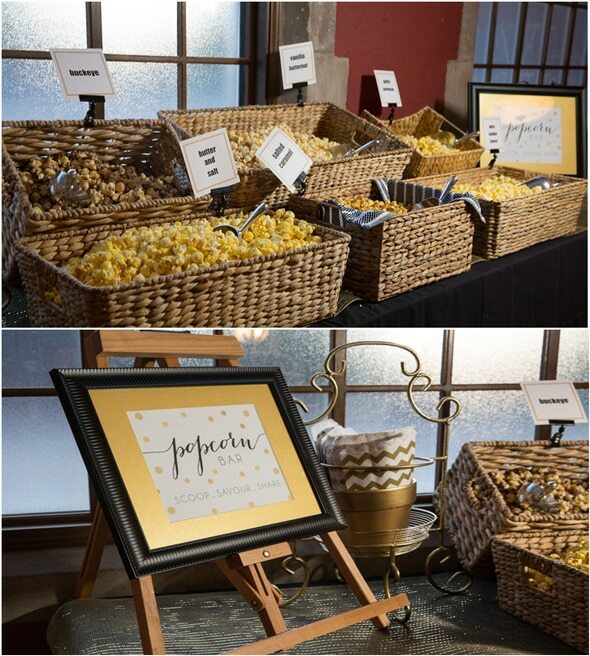 There was also a beautiful popcorn and sweets table set up for guests! 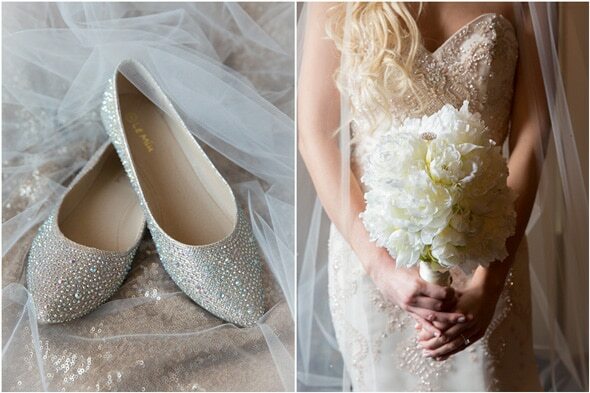 The bride is an established ballerina, so she obviously wouldn’t hear of anyone skipping the dancing! 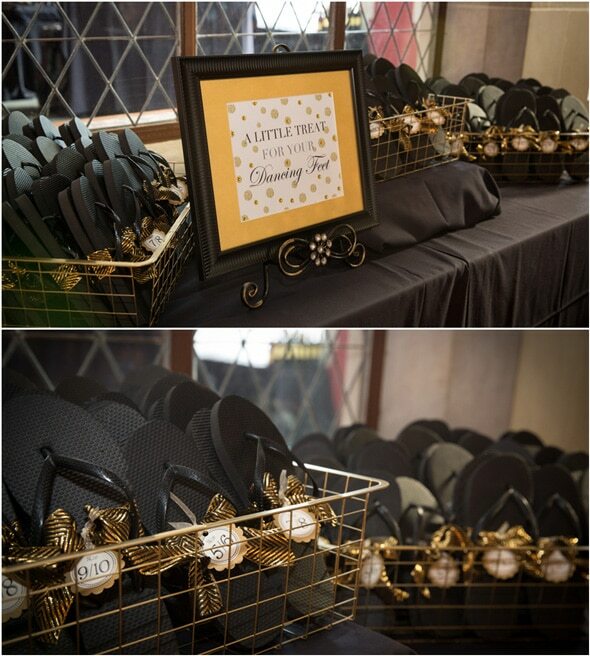 That’s why flip flops in every size were available for all of the ladies to wear. 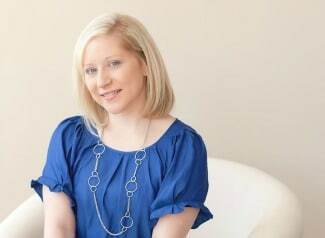 She wanted to be sure that nobody sat the night out because of uncomfortable heels! 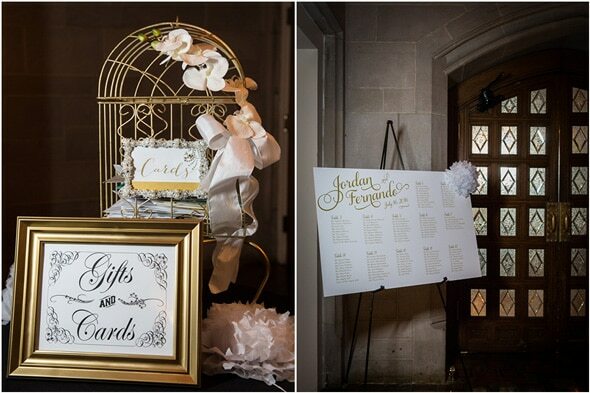 We also are in love with this unique take on the wedding guest book! By building a “guest tree” it is a momento that will make a great conversation piece anywhere they may live in the future. 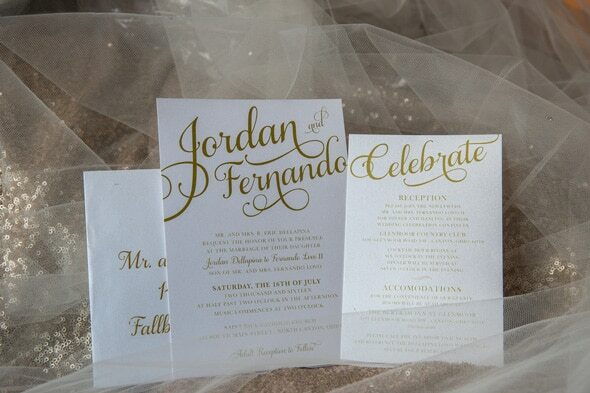 And those exquisite invitations were classic and beautiful! 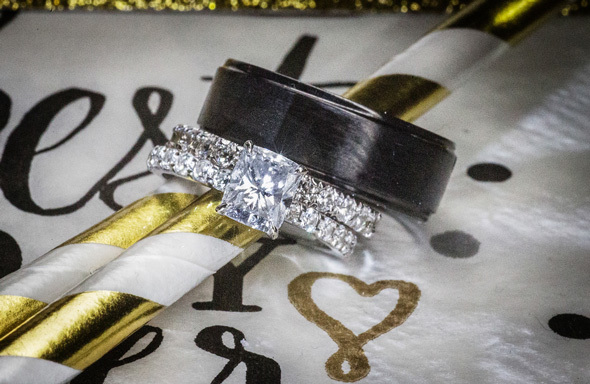 She had another surprise up her sleeve, too! 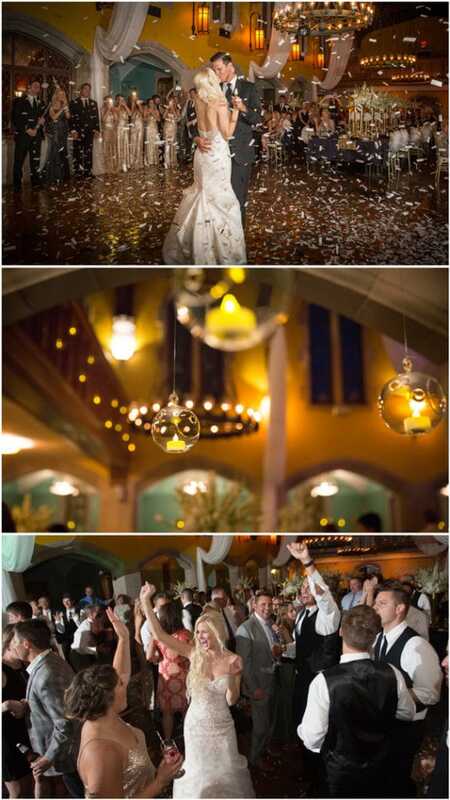 During the first dance, the bride surprised her new husband with a confetti drop that kicked off the evening events and set the tone for fun and celebration! 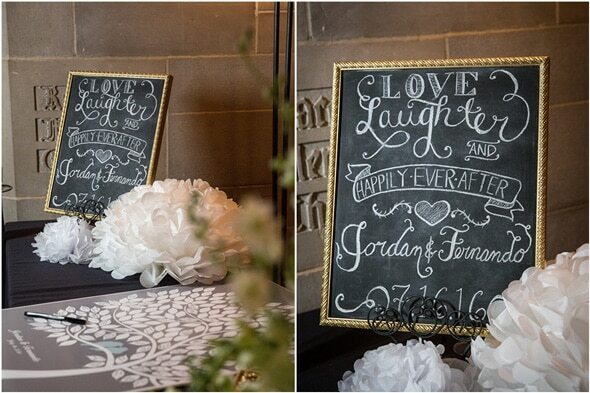 Congratulations to the happy couple. 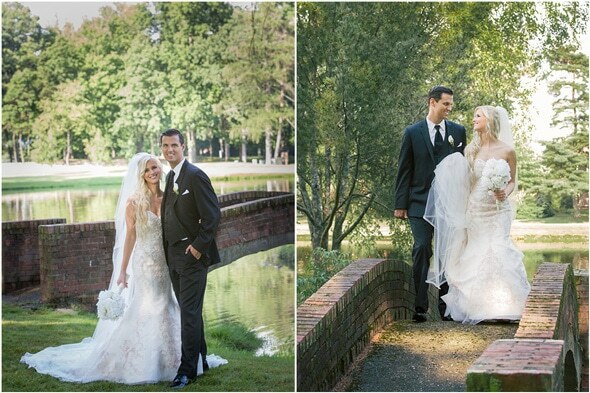 This is one wedding that will be remembered fondly for a lifetime!